If you follow any of the Kardashians on Instagram, you’ve probably noticed that they’ve spent many recent Sundays in church — though their services aren’t like anything we’ve ever seen before! The videos posted to the famous family’s stories typically show Kanye West, flanked by a full choir and band, leading worship, while daughter North West shows off her impressive dance moves. No one loves attention more than the rapper and his 5-year-old daughter! Naturally, a lot of fans want to know what church the reality stars attend and whether it’s affiliated with a specific denomination. Here’s what we could find out about the Kardashians' soulful Sundays. What church do the Kardashians go to? The Kardashians attend the Church of Kanye West, of course. We’re kidding… sort of. Based on several reports, the father-of-three organizes weekly services for an exclusive group of friends and family. 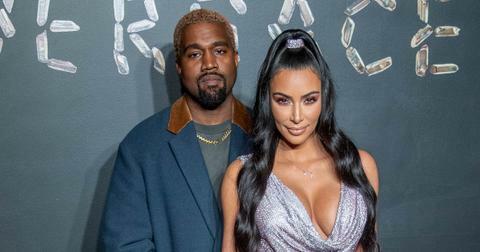 According to Variety, the location changes week to week, but at least one of the services has been held at Kanye and Kim Kardashian’s Calabasas home. Even the Adidas headquarters in Portland, Ore., allegedly hosted one of the religiously themed concerts. Based on past videos, the music is mostly gospel versions of Yeezy songs, like "Jesus Walks" and "Father Stretch My Hands, Pt. 1." The choir has even been known to rock Kanye’s clothing line instead of traditional robes. But the best part of the clips, in our opinion, is North West’s killer moves and occasional singing. "Her favorite part of the week is dancing during Sunday Service," Kim wrote of her oldest daughter on Twitter. Sources also told Variety that there’s a pre-service before the actual service, which is really just brunch, and that attendees reportedly sign a non-disclosure agreement — which means we’ll never truly know what goes down in Kanye’s makeshift church. Busy Philipps and her daughters were recently seen arriving at the 41-year-old’s gathering, and past guests included Diplo, Kid Cudi, and David Letterman. The family identifies as Christian and often posts about God on social media. A couple of weeks after Tristan Thompson’s cheating scandal with Jordyn Woods broke, Khloé Kardashian wrote on Instagram, "Start each day with a grateful happy heart. Count your blessings over your burdens. Smile, you got this! Lord, thank You." 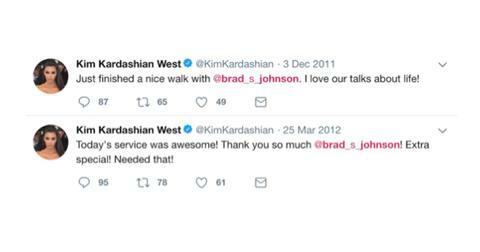 The reality stars have also been close with Pastor Brad Johnson over the years. He officiated Khloé’s wedding to Lamar Odom in 2009 and currently runs California Community Church in Agoura Hills. Following her horrific 2016 robbery in Paris, Kim opened up about her faith in an interview with Ellen DeGeneres. "I said a prayer. I said, 'I know I'm going to Heaven, I hope my kids and my husband are OK,'" the mother-of-three recalled of being bound and gagged at gunpoint. The 38-year-old previously revealed to Vogue that her family starts each day with a Bible verse from matriarch Kris Jenner. "We are very Christian," she shared, "and our work ethic and our discipline comes from so many years at Catholic school." Who knows, after years of starting their own businesses, maybe the Kardashians — with the help of Kanye — are ready to build their own church!